Shirts With Random Triangles: Nevada head coach Brian Polian explains Alabama head coach Nick Saban's process. Nevada head coach Brian Polian explains Alabama head coach Nick Saban's process. Nevada head coach Brian Polian. Photo via al.com. Ever had doubts on whether Alabama head coach Nick Saban was a hard-nose perfectionist? 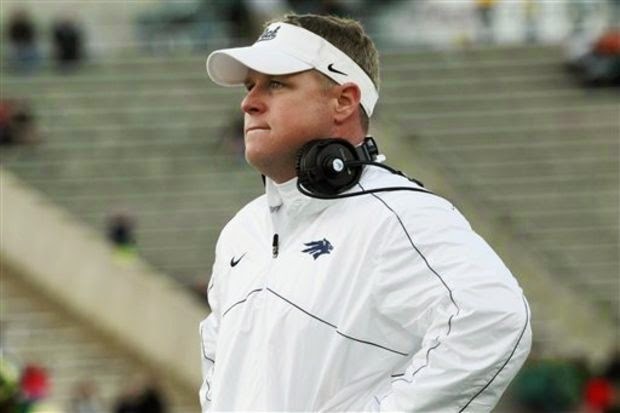 Nevada head coach Brian Polian is here to help you put them to rest. Speaking to Bruce Feldman for FoxSports.com's The Audible podcast, Polian, who served as a graduate under Saban at Michigan State in 1997, explained that yes, "there's exactly right and there's wrong" when it comes to how Saban wants things done. "When you're given an assignment, when you're given specific instructions about how something is done, it's either done perfectly or you go back and fix it. While that can sound like a hard approach to things, in reality, it was a great learning tool and a great lesson in the sense that you'd rather take your time on the front end to do everything exactly right as opposed to having to go back and continuously fix things." Polian went 4-8 as his first season as a head coach at Nevada (which included losses to Florida State, Boise State, and Fresno State). For the record, Saban went 9-2 in his first season as a head coach at Toledo.